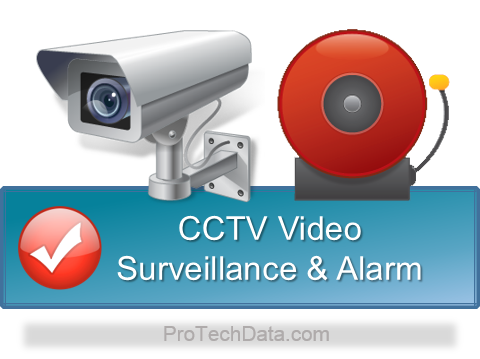 Day/night cameras, covert cameras, DVR Recording, remote viewing, and more will help you keep an eye on things when you can't be there. Dual technology motion detection, state of the art glass-break detection, and more will help keep your home, family, or business safe. State of the art control panels, photoelectric smoke detection, fixed or rate-of-rise heat detection, and knowledgeable technicians who are familiar with state and local fire codes. We provide 24 hour UL Listed Central Station Monitoring at very competitive pricing. No phone line no problem. We have many over the air options to choose from. Call today to find out if we can monitor your existing system. Proximity Cards and readers, Network PC workstation, keypad entry, and more to keep your building safe. We offer thorough annual fire alarm inspections and testing in accordance with NFPA 72 and provide your facility and your local fire department with a copy of the inspection report.